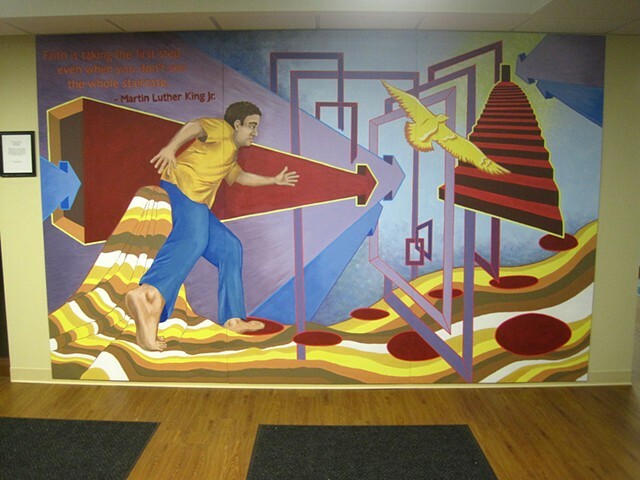 This mural focuses on the theme of personal empowerment and cultivating inner strength. 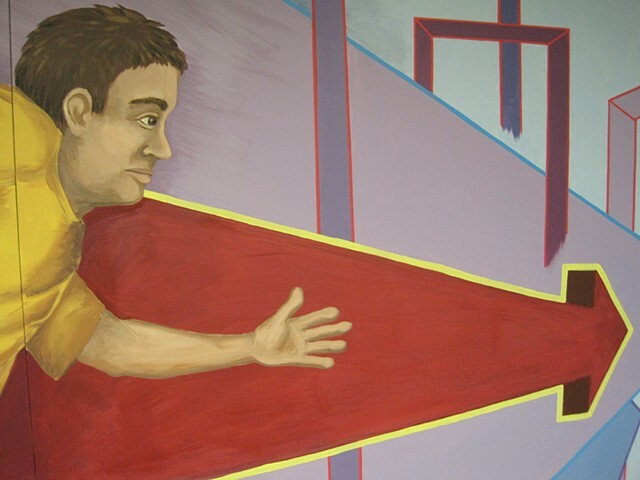 The main image is of a man letting go of something—his cover, his security, his past, and moving towards a new place with faith in the future. Getting to this new place means going through unknown doors and to a set of stairs. 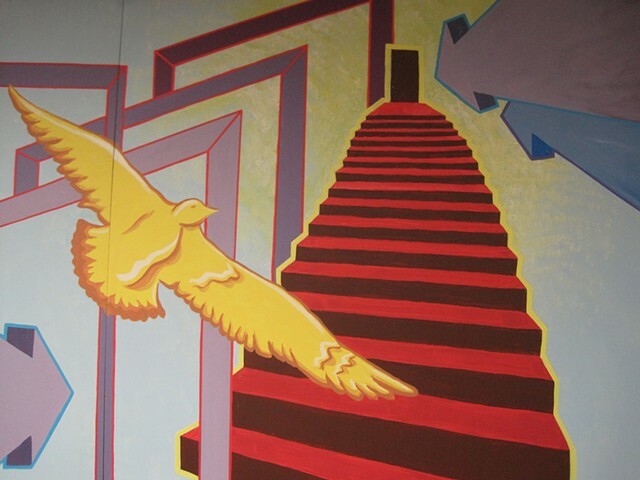 The bird image represents a safe passage and hope in moving forward. 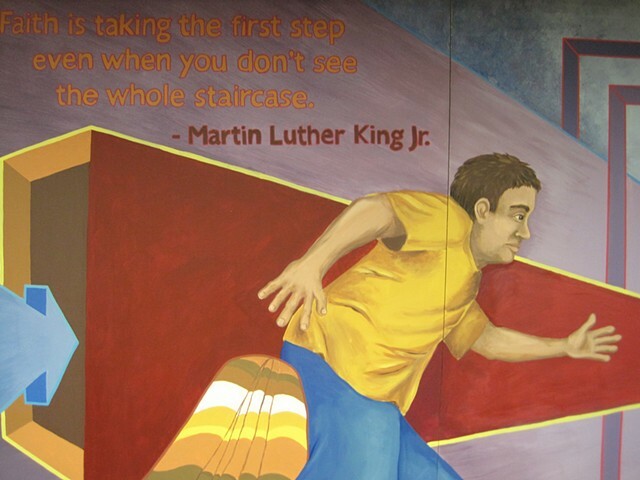 The quote by Martin Luther King inspires a feeling of reassurance in a time of uncertainty.